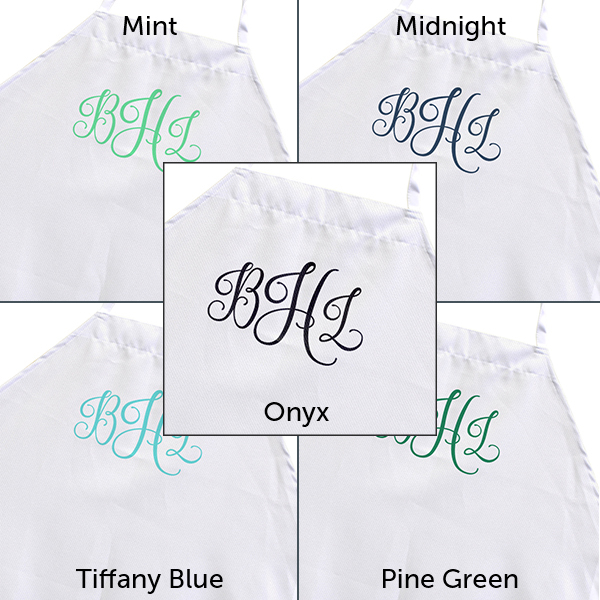 Add your initials in any color to this apron for the perfect entertaining accessory. 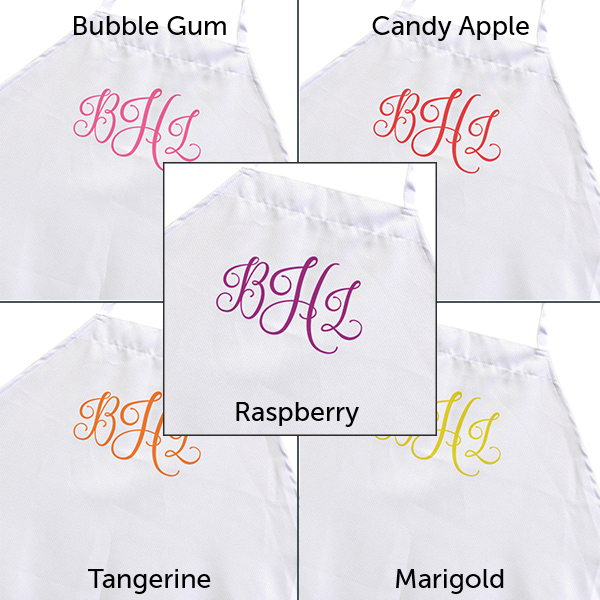 Monograms are a signature of sophistication without putting on airs. 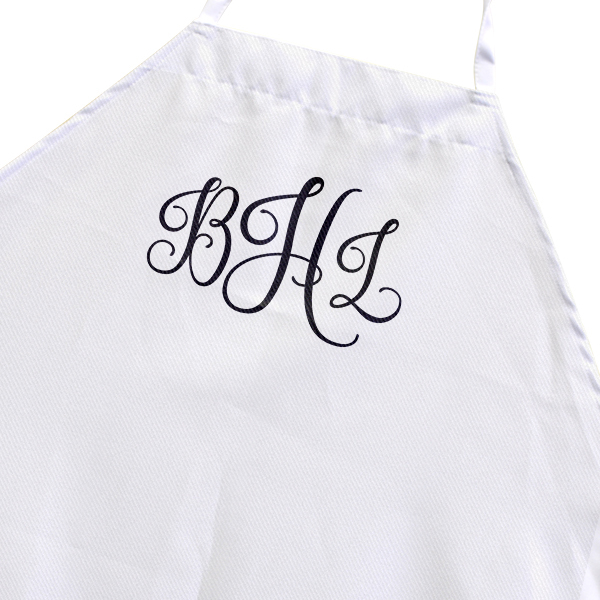 Add a touch of casual class to your kitchen with this custom monogram cooking apron. Simply input your initials and select your text color, and our skilled, US-based craftsmen will take care of the rest to ensure that your quality custom product is on its way to you in as little as 3 business days.